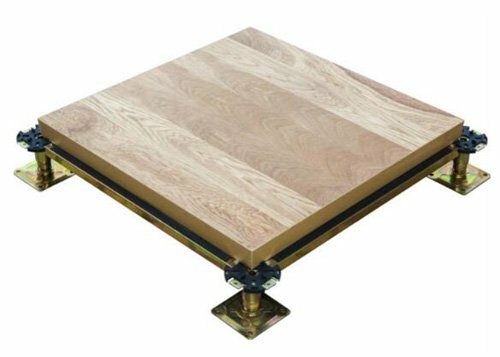 Since 1990s, calcium sulphate raised floor has been widely used in European countries. These years, because of the increasing demand for environmental protection, energy saving and resource recycling in China, the market share of calcium sulphate raised floor has increased dramatically. 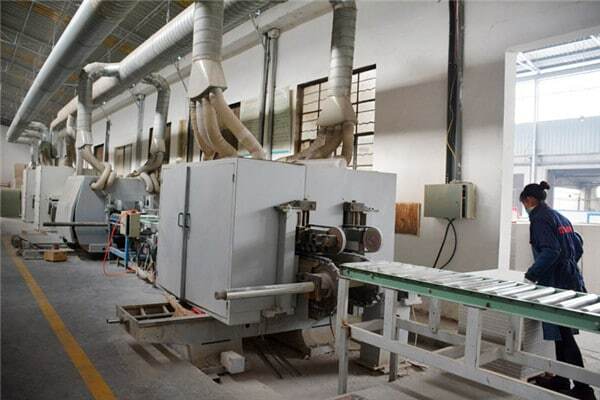 The raw materials of calcium sulphate floor are mainly natural gypsum powder(CaSO4 1/2H2O) and reinforced fiber(primary and secondary fibers), they occupy more than 85% of a calcium sulphate board. Together with other materials such as mineral binder, water, they are mixed and pressed through high voltage. 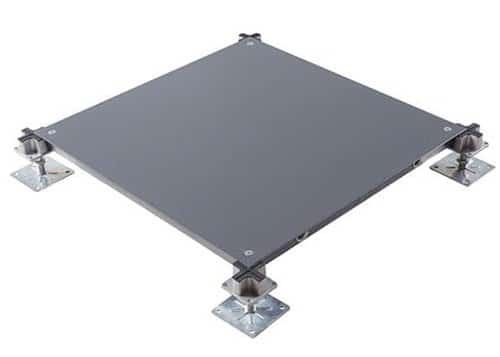 Then calcium sulphate board will be maintained in thermostatic room for around half a month, until flexural strength of board can reach 12-15Mpa. The content of gypsum powder and reinforced fiber can be more than 85%, the recyclable material of a calcium sulphate board can be from 90% to 97%. It can meet the requirement of LEED evaluation for projects. At the end of its life, recoverable indicator is a very important factor in both economical and environmental aspect nowadays. Calcium sulphate floor generates micro-holes due to crystallization, the material structure, design features and high production precision of calcium sulphate floor provide excellent acoustic values. The extremely good walk-on properties offer a high degree of comfort and create a perfect working ambience. 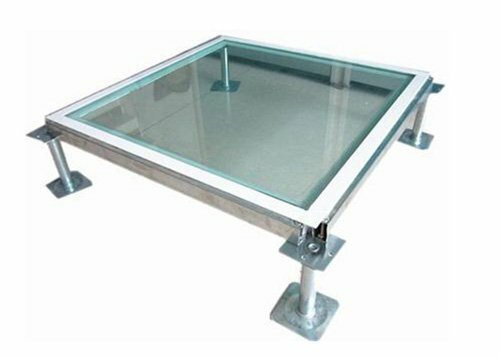 Calcium sulphate raised floor owns the best fire resistance in all kinds of raised floor, so it can offer a most valuable solution functional as well as safety advantages. 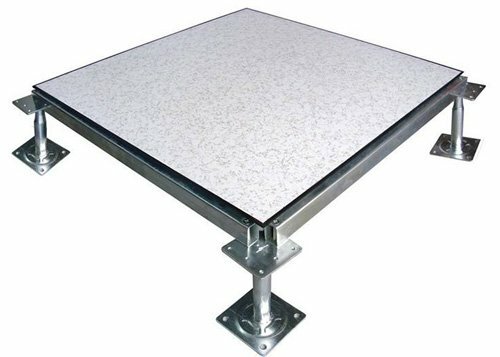 Calcium sulphate floor is non-combustible, this allows a raised floor to meet a F60 classification, depending on the overall height. The building height determines the amount of air (and thus oxygen) located under the raised floor, as one of the 3 essential factors for fire. Calcium sulphate raised floor has a good performance to a (slight) degree of moisture. It is easier to maintain and clean floor, service life of floor will also be longer than a chipboard floor.